Medieval Spanish Chef: MACARRONES SIMPLY DELICIOUS IN ALMOND MILK ADAPTED FROM A 14TH CENTURY CATALAN RECIPE - SIMPLY DELICIOUS! MACARRONES SIMPLY DELICIOUS IN ALMOND MILK ADAPTED FROM A 14TH CENTURY CATALAN RECIPE - SIMPLY DELICIOUS! OCat alatría, Heb Sp makarrón, Hisp Ar atriya, Gr itrion or itria, Ar rishta, Pers itriya, Eng macaroni, dried pasta. It is made from durum wheat or semolina (see and trigo duro). At first the word itriya meant a thin unleavened dough or cake product. Between the 12th and 13th C atriya took on the meaning of any pasta made with durum wheat including couscous, lasagna, gnocchi. taglierini, vermicelli, etc. It was not the cylinder shaped macaroni eaten today. At first itriya is thought to have been little pasta balls that needed to be cooked for a short time, which was essential when there was a shortage of firewood especially in deserts. By the 14th C it was defined as a thread like pasta made with flour. Wright points out that macaroni is historically important because it is dried pasta that can kept for years. This helped to reduce famine. It was stored by governments to curb inflation especially during years of soft wheat (T. aestivum) famines (see pan). Not only is macaroni nutritious but also the consumption of it during these times instead of bread helped prevent disease produced by dangerous bread flour substitutes (see almortas and ergotismo) in some cultures and classes of people. Romans have tried to claim fame as the inventors of macaroni (made with durum wheat) but Wright maintains no one can prove where it originated. Contrary to Perry, he speculates that it came from the Arabs whose nomadic population was in need of food that could be transported long distances without spoiling. It was not the Chinese because they made their pasta with millet flour. Macaroni became a stable for Arab military campaigns. Sawiq, a dried barley product, was carried on their journeys and prepared with water or milk for consumption. Rich and poor Arabs preferred dried pasta when it became available as it is tastier. Apicius, in 1 AD Rome, does mention pasta but his is made with soft wheat which spoils rapidly. Perry, on the other hand, states that itriyya, a strong dry pasta is of Greek origin and was known to the Arabs around the 8th C. Through Ahmad ibn Muhammad al-Razi (888?-955? ), the Arab geographer, reports that during this period it is known that hard wheat existed in Toledo, Spain and it can assumed that this product was being consumed. Anon Al.Andalus provides a recipe for atriya cooked with fatty meat, such as mutton, in boiling water. 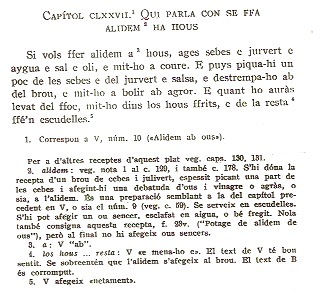 Sent Soví, the 14th C Catalan manuscript, gives two recipes. The first boils them with meat or fish, as per the liturgical year, in water and serves them in soup bowls with almond milk and the latter adds raisins. The second recipe is similar to the Hispano Arab recipe. 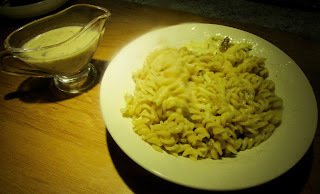 Grewe, editor of Sent Soví maintains that macaroni is of Hispano-Arab origin. Lladonosa states that the most recommended way of boiling atriya during medieval times was in almond milk. Wright reports that the word maccarone was used in Sicily by the 15th C but it was only consumed by Jews, who inherited the custom of eating it due to their close commercial ties with Arabs, and upper class Christians. 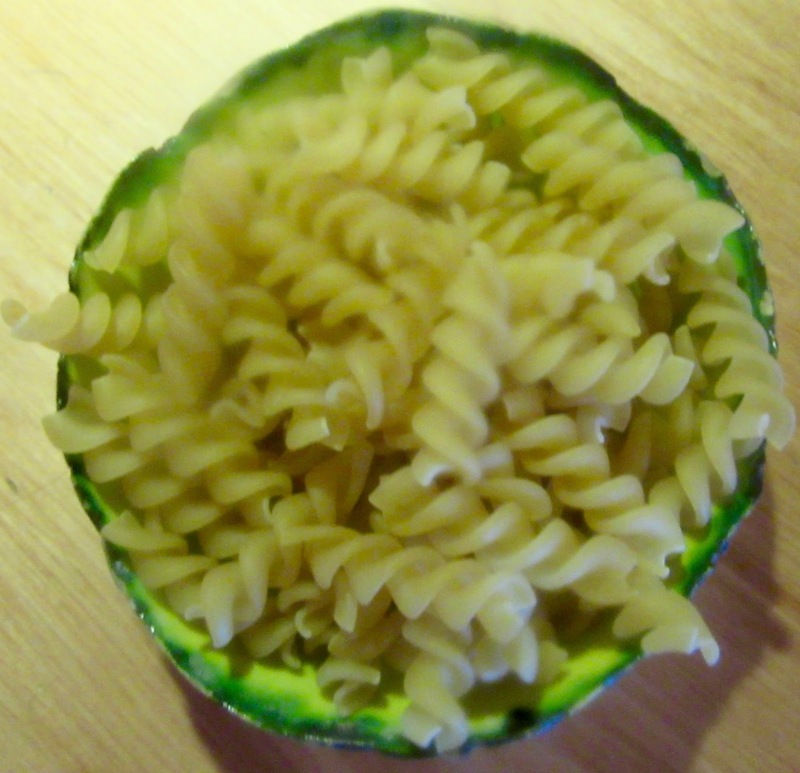 In 1371 macaroni cost three times more than bread in Palermo. In Europe, it did not become a poor man’s dish until the late 18th C. See fideo. Too Much Sugar in the Tomato Sauce? Make a broth. When the meat is tender strain into a clean pot. Blanch and peel almonds. Grind them in a food processor. Add broth and grind again. Stain through a cheesecloth into a pot. Add olive oil and salt. Bring to a boil. Add macaroni. Cook to al diente. Remove from heat. Add raisins and grated cheese. Mix well and serve hot with almond milk in bowls. This is the Medieval Spanish Chefs edition.